Wedding's don't get more spectacular than this. Get ready to "ooh" and "ahh" at so much pretty! The sun glistened on this beautiful spring morning. The famous Bacara Resort was a perfect venue for this jaw dropping wedding with the ceremony set on the Santa Barbara Ocean bluffs. As guests got seated for the ceremony they got to take in the breathtaking panoramic views of the ocean while waiting for the Bride to walk down in her crisscross backless dress. Cassandra and Todd vowed to love each other for sickness and in health in front of 100 loved ones. Want the most memorable ceremony ever? Have your Father/Soon to be Father in Law conduct your ceremony! Lot of laughs and an array of love! Throughout the entire day you could feel nothing but so much love and happiness for these two sweet souls. 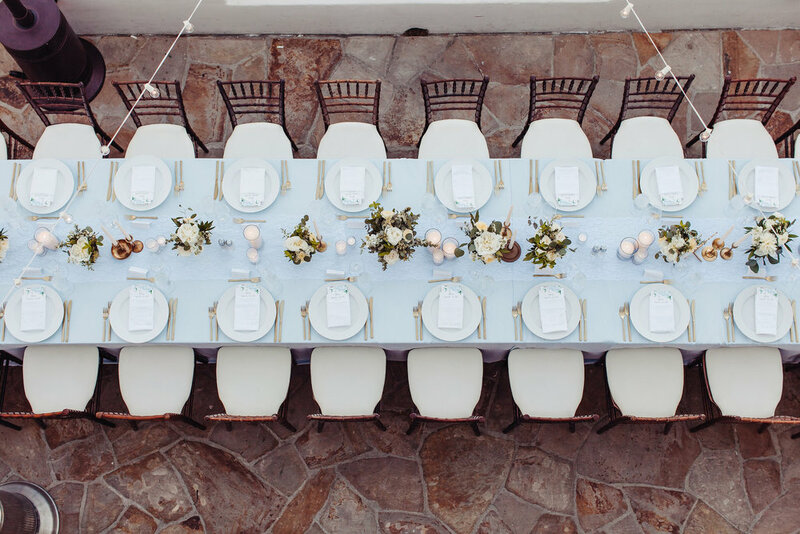 The newlyweds joined their guests at their stunning long family style table that created the perfect ambiance to dine on an exquisite dinner (compliments of the Bacara Resort Chefs.) As the evening progressed family and friends gathered around to toast and dance the night away. "Dancing and celebrating with our closest friends and family watching us smile all night long." Is what the bride looked forward to the most and they did just that. What an absolute marvelous day celebrating a wonderful couple. We were so honored to be a part of this day and over the moon with Dmitry Shumanev's capture of it all. Congratulations Cassandra and Todd! Thank you to our partnering venue and vendors.